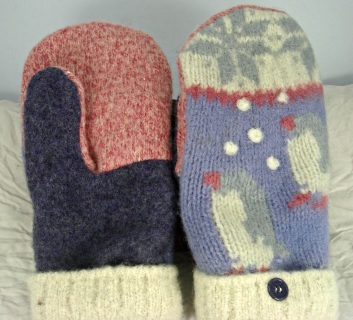 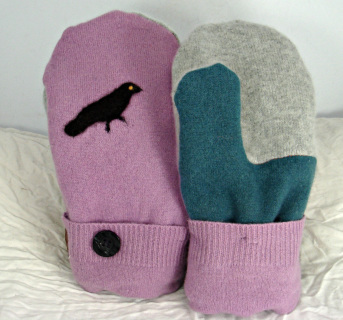 These mittens are created from recycled wool sweaters. 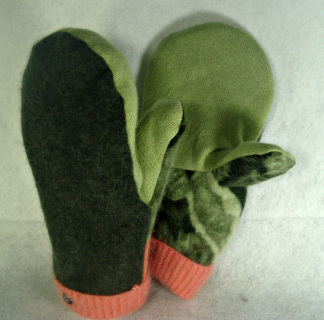 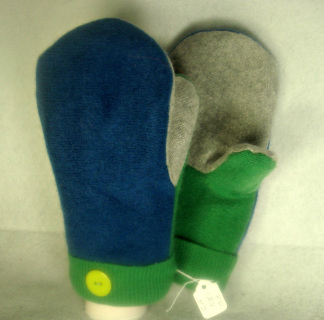 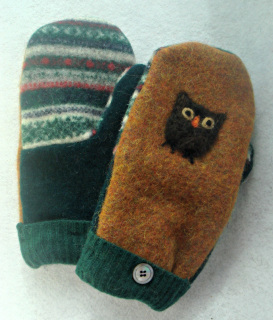 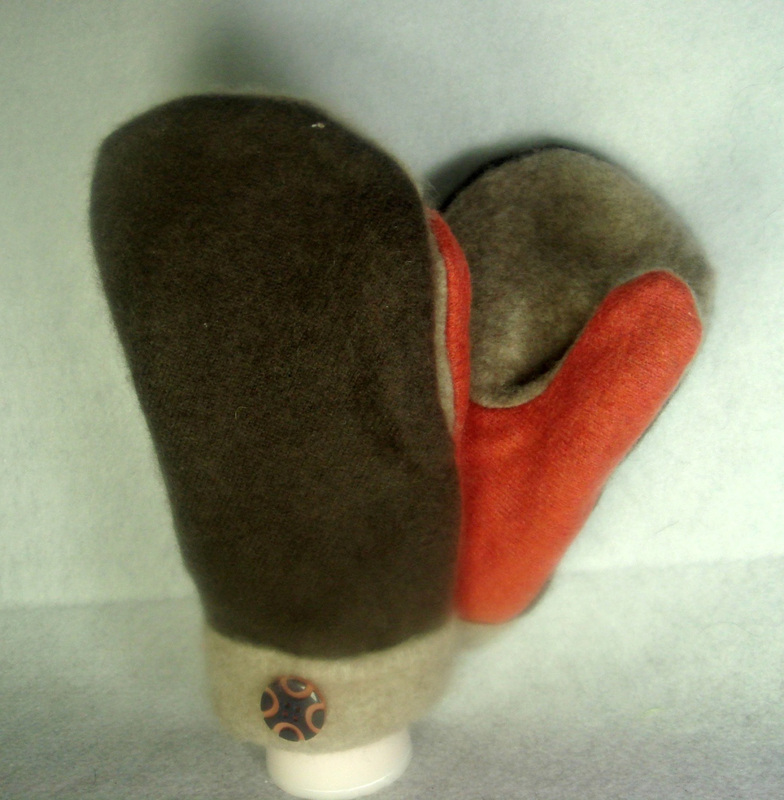 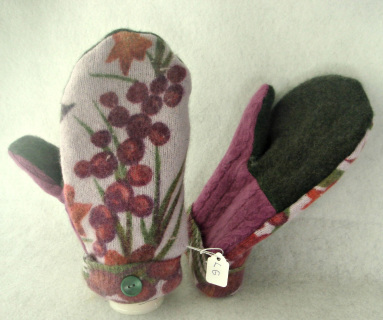 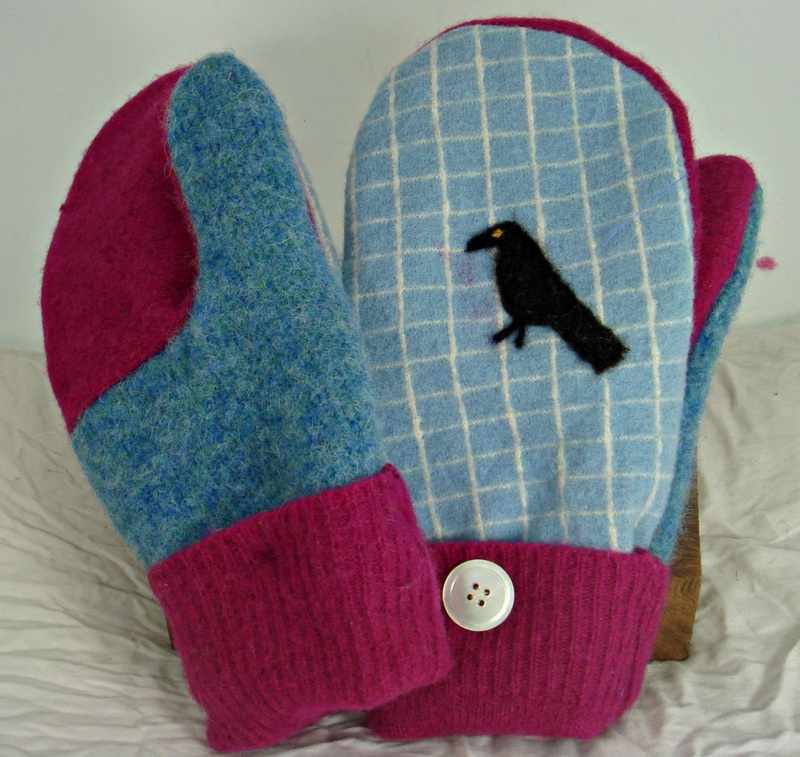 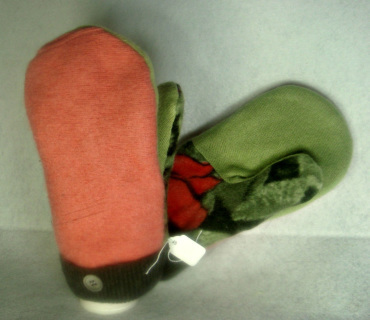 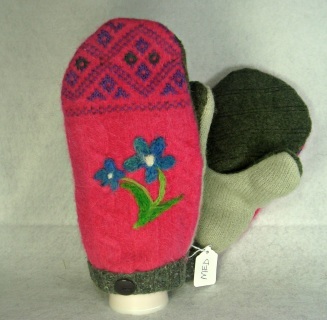 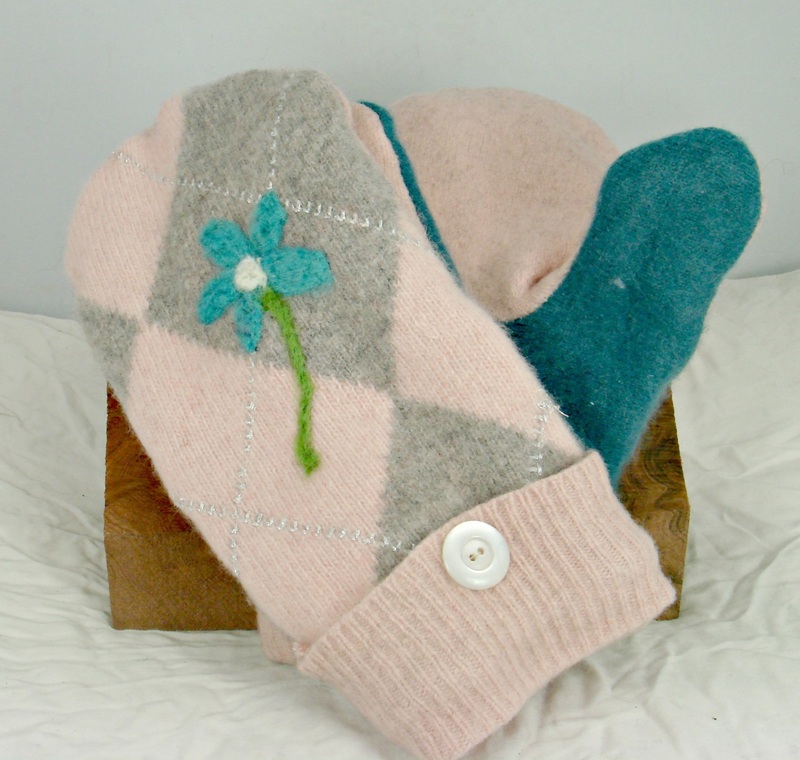 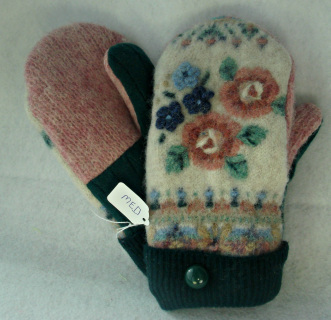 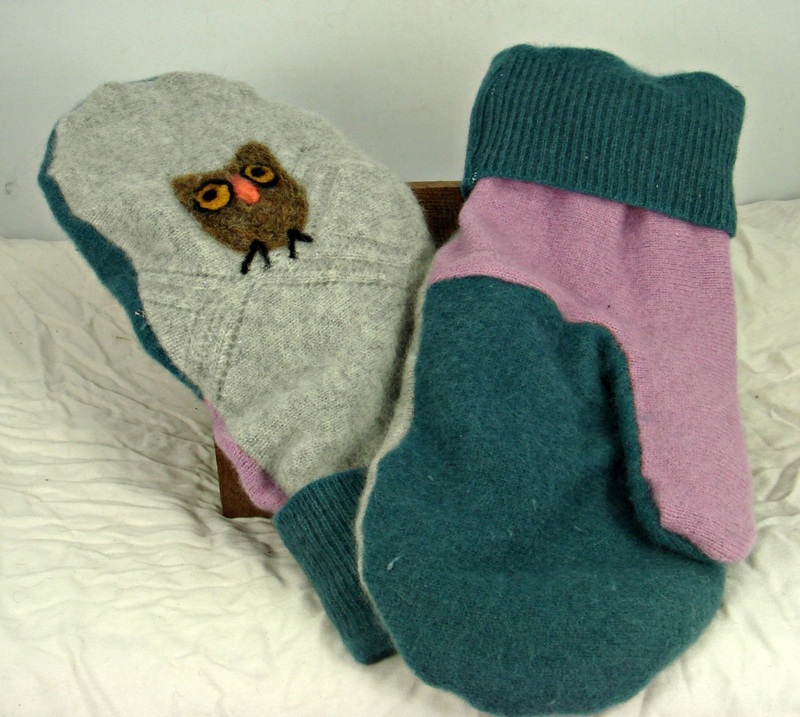 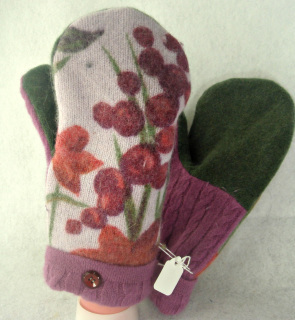 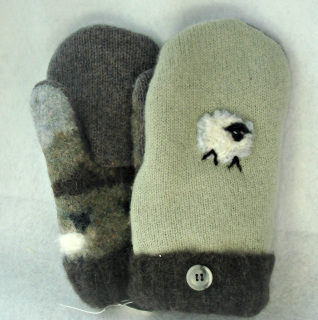 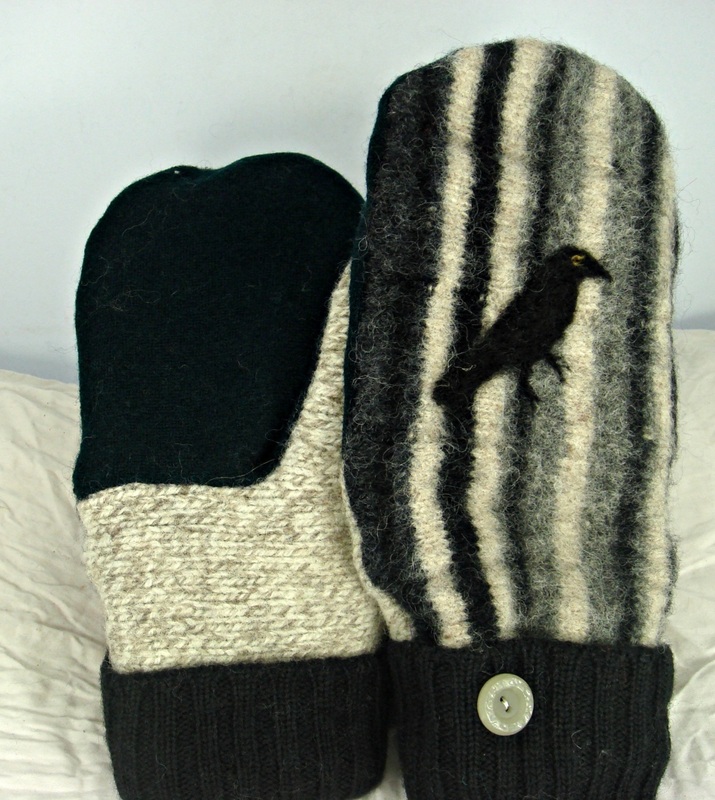 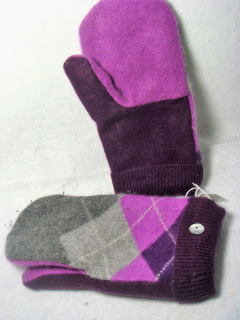 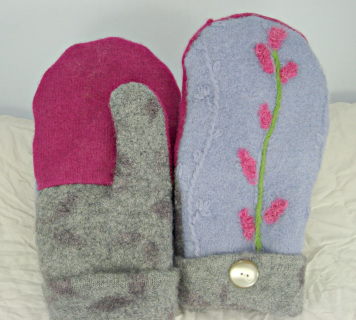 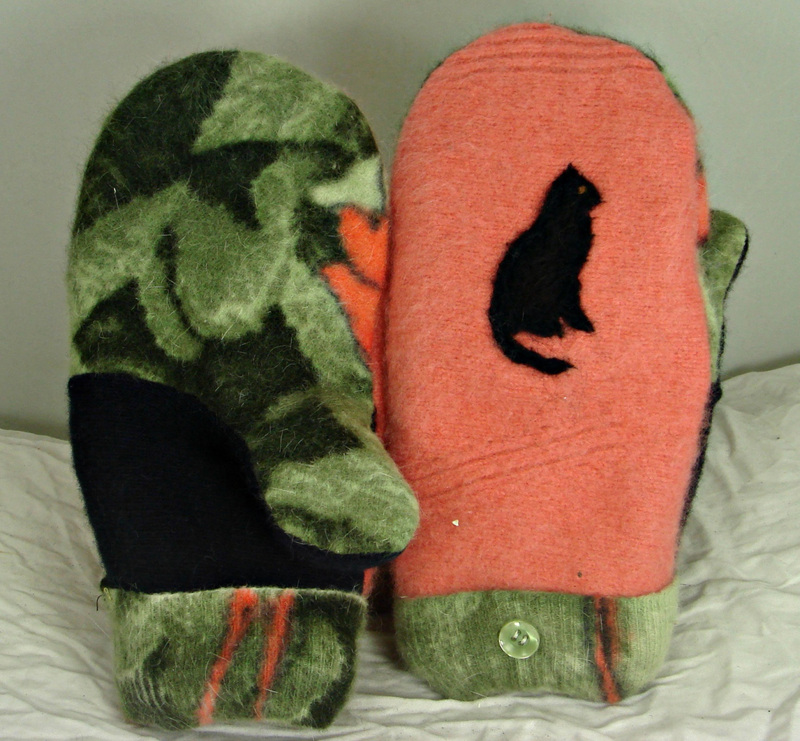 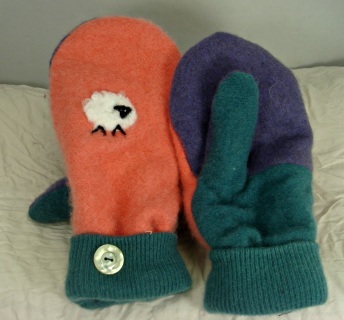 They are felted, cut up, and matched to give you wool and cashmere mittens. 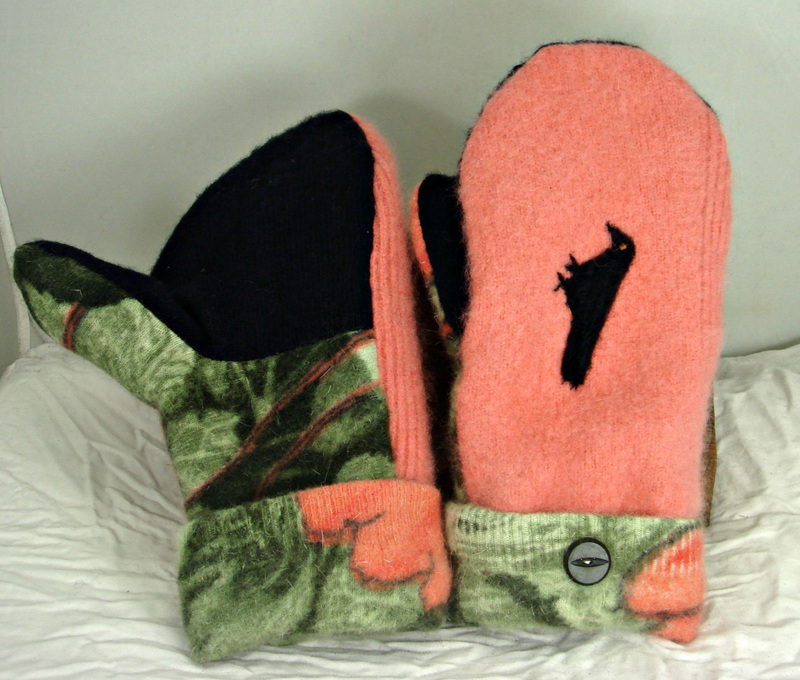 They are all lined in soft fleece to make them toasty warm and comfortable.